The watching of online video a has increased by more than third in the past year, but despite the power of the BBC iPlayer, YouTube remains market leader by an astonishing amount. ComScore's latest figures show a big increase in the consumption of online videos – with 5.5 billion views, up from just over 4 billion in the 2009 figures. 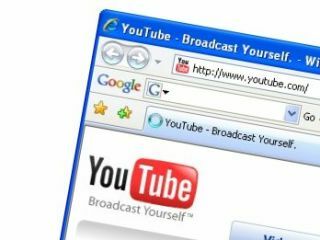 But the Google video sites – including YouTube – accounts for 2.47 billion of the total, significantly more than half of all video viewed. Some may find it surprising that the third most watched video site in the UK is megavideo.com, which has more than doubled in video viewed in the past year, ahead of Facebook's video player in fourth and Microsoft video sites in fifth. Facebook's video player experienced the biggest change – putting on a 205 per cent growth spurt from last year, whilst Microsoft's video sites – including MSN Video – grew the least – just 12 per cent. Other major growth spurts came from Blinkx (204 per cent), ITV's video players (134 per cent) and Sky Player (139 per cent). It is clear that the rise of video on demand, as well as people's acceptance of online as a viewing platform, is making a huge difference to the television marketplace.